March 2013 – Next Hipster Trend is what's HAWT, NEXT! There are very few opportunities in hipster life where it’s permissible to stalk and entrap another living thing, street mimes are one of them. The important thing to remember here is that the mimes don’t consider this entrapment. Done correctly, to them it is “play” and welcomed interaction during lonely stints in mall food courts and birthday parties. Any mime “catch and release” action is a delicate dance between the mime’s innate desire to include others in their silent antics and their almost impish ability to make fun of whatever you’re trying to do. The trick is to leverage their sad need for complicity into a scenario where you’ve gotten control of the mime in a storyline they themselves inadvertently helped create. Don’t worry, it’s for everyone’s good. Mimes are twisted parodies of reality whose silence is deafening. Being beret wearers, mimes are naturally predisposed to be welcoming to hipsters and hipster attention, use this to gain their trust. Start by standing near them talking on your phone. Mimes see this as an immediate invitation to get behind you and mockingly pretend to be you. Allow this as a simple entree into an ensuing mime / hipster tête-à-tête. You’ll get mad … the mime will exaggerate your huffing and puffing … you’ll facepalm, the mime will facepalm (and fall over feigning exhaustion). 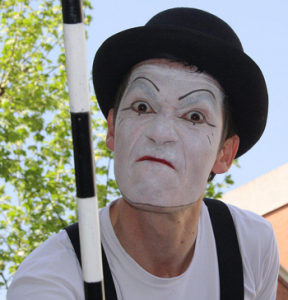 You’ll stammer loudly, the mime will wind walk in the face of your screaming … Finally you’ll begin to walk away, the mime will try to pull you back with an invisible rope. Now you’ve got them right where you want them. They’ve committed to a willing suspension of dis-belief. The second you fake getting jerked back by them, you’ve set the hook. They now have to support your every pantomimed assertion. Your first instinct will be to jerk the rope back and wrap them up quickly, thereby entrapping them. Not so fast, the mime will certainly have an imaginary dagger to free themselves and go back to hazing you. It would be far better to start slowly with a small fake box. Set it down at the mimes feet. The assembled mall shoppers will be totally into this by now. Open the box and take out an invisible hammer. Hold it up to the mime, they may try to sniff it like it’s a pretty flower. Don’t let them! This is the mime’s insidious attempt to wrestle the storyline back from you. YOU CANNOT LET THIS HAPPEN. Pretend to smack your open palm with it, that’s internationally recognized in Mime-ish as “hammer.” Now begin building a wall, use your hands to pantomime the dimensions of the wall. Some mime classes will help you hone your skills here, but don’t go to far down the rabbit hole, just get a video and watch it at home. Fake walk into the wall, mimes love this and will repeat it after you. Now quickly build another wall. Again, the mime will eat this up because you’re play it’s silly game and they LOVE corners because they can hold their hands flat and push against air like it’s hard as rock. As the mime is busy defining the imaginary corner by pushing on both sides (watch out for Italian mimes, they will likely attempt to pee in the corner) you can quickly build out the other two walls. MIMES MUST RESPECT IMAGINARY WALLS … it’s part of the covenant they signed in blood with the devil to acquire their freakishly eerie mime skills. Pull the last invisible nine penny nail from between your lips and silently hammer the lid closed, maintaining eye contact with your now-entrapped foe. You’ve caught your first mime. The onlookers will erupt in applause. Bow low before you set up an imaginary chair, open up your imaginary mime field journal, and face the mime for study. After you’ve had your fun, don’t for get to tag it with a tracking chip for scientific research and public safety then release it back into the wild with hopes that it gets hit by an imaginary (or real) car. 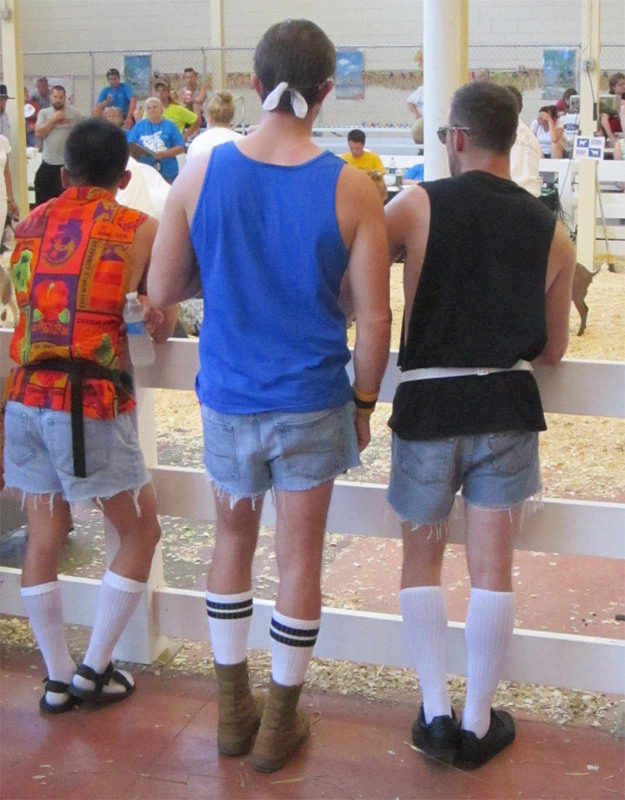 I just had to share this candid shot of three hipsters enjoying a goat judging at the Minnesota State Fair on Saturday. If you’re in the mood for some fair-going it’s too late because it’s OVER until next year. Click to see the image full screen. I just had to share this candid shot of three hipsters enjoying a goat judging at the Minnesota State Fair on Saturday. If you’re in the mood for some fair-going it’s too late because it’s OVER until next year. 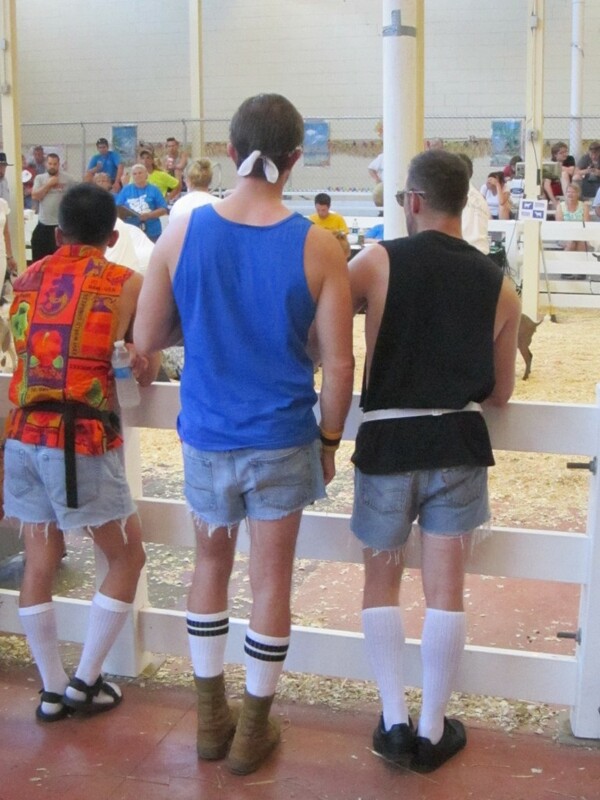 I had to share this candid shot of three hipsters enjoying a goat judging at the Minnesota State Fair on Saturday.